Japan is an amazing country rich in history and culture. It is, without a doubt, one of the world’s top tourist destinations. Foreign tourist arrivals for the first five months of this year alone reached 7.54 million, based on data from the Japan National Tourism Organization (JNTO). The Japanese government hopes to achieve its annual goal of 20 million by 2020. Learning about Japan and its people is fast and easy today. One just needs to go online and browse the different websites or blogs that focus on the land of the rising sun. These sites are also very useful to people wanting to visit this Asian country. Those passionate about writing on anything about Japan can even pursue a career in blogging. You just have to search via online jobs sites and check posts that says blogger needed. There are numerous choices available but here are some of the best Japan travel blogs worth visiting and following. The blog’s title is an apt description of the author who has been traveling the world since 2006. Author of the New York Times best selling book “How to Travel the World on $50 a Day,” Matt created his blog to share his travel experience and give travel advice, tips as well as suggestions to people planning on their next trip. His motto is to help people achieve their dream of visiting more places without having to spend a fortune. Nomadic Matt offers travel guides for specific countries including Japan. Each guide provides destination guides, budget tips, activities worth doing and information on typical costs for food and accommodation among others. The Eager Traveller is another personal travel blog that offers lots of useful information to people wanting to visit different countries. Behind this site is a woman who’s passionate about photography, traveling and food. Having lived in the different parts of the world inspired her to create a blog that not only chronicles her travels but also shares tips and other travel information as well as inspire people to take on new adventures. The blog offers many tips for those who want to travel to the different parts of Japan. Deano Wormald is behind the Japan Travel Mate photo blog and travel guide. A former resident of Toyota City in the Aichi Prefecture, he has been writing about Japan since 2006. What makes this blog stand out is it offers a lot of photos and covers various topics related to Japan. From art, culture and food to locations, travel tips and planning, you can find them on the site. 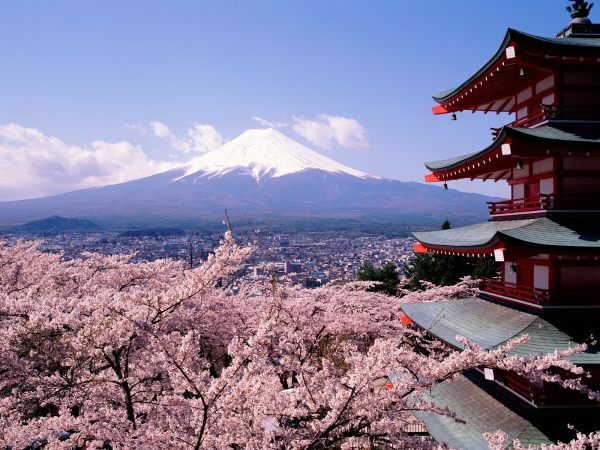 Zooming Japan is a travel guide blog on the land of the rising sun authored by Jasmine T. Blossom. A German national who has lived in all 47 prefectures of the country for more than seven years, the author initially planned to stay for a year only while on a working holiday visa. But she fell in love with Japan and decided to stay for good. The blog offers interesting information about Japan not found on other sites. She shares everything good and the not-so-good side of Japan on a more personal level.